Sh*t Lean Sigma Says: An Ironic Complaint about "Bastardization"
It kills me to see a Lean Sigma book complain about methodologies being "bastardized" when this book does the exact same thing to "Lean." 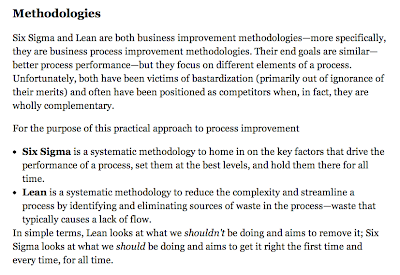 To say Lean is only about reducing waste or that lean is only about Flow is a complete bastardization of Lean and the Toyota Production System. It's a shame that people who don't know any better accept this stuff as gospel truth. 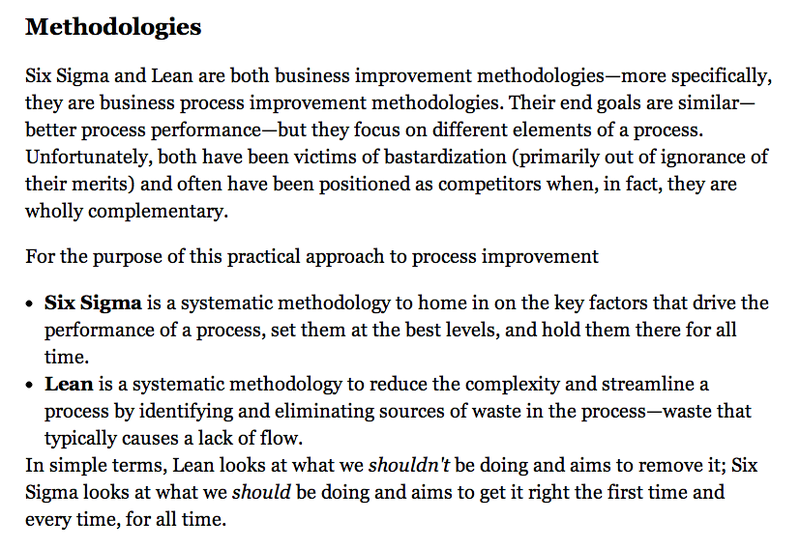 Lean has many principles and methods that help improve what we should be doing. The aim of Lean is to get it right the first time, every time... that's not the exclusive domain of Six Sigma.